Red Bull KTM is on the cusp of another National Motocross Championship. 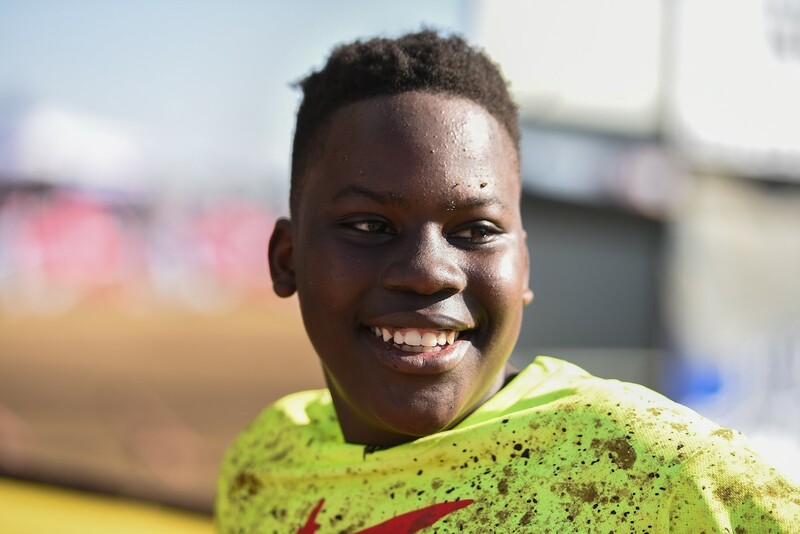 Rising star Jonathan Mlimi will line up for the Dirt Bronco season finale this weekend with an impressive 40 point lead in the Pro Mini Class. Having only made his debut in January, the national title will mark a significant milestone in the youngster’s promising motocross career. Adding to his strong determination to defend the Pro Mini red plate will certainly be the hometown support of his local Johannesburg fans. Returning to South African soil fresh off yet another international victory is Camden Mc Lellan. The rider had tongues wagging when he snatched up the 85cc ADAC Championship last month. This will be his second title in 2018 after he was crowned EMX85 European Champion. Mc Lellan made his debut to the High School Class this year, and after gaining a wealth of experience overseas plans to end off the season with a local victory. “To achieve two international titles this year has been incredible… but now to be able to top that off with a win back home would make it an exceptional year for me!” said Mc Lellan. Teammate and younger brother Nate Mc Lellan has similar ambitions for the Pro Mini Class. After experiencing some ups and downs this year, the rising star is currently sitting in fourth on the leader board and is about to do whatever is takes to finish the season on the podium. “I’ve been racing really well the last couple of rounds, but just had an unlucky fall in Welkom. The time has come to win! Everyone is going for the same result though so it’s going to be tough,” said the young Mc Lellan. Taking his place at the start line with the third spot overall in the MX2 Championship is motocross legend Kerim Fitz-Gerald. The rider is tied for points with Husqvarna’s Matthew Malan, and will look to salvage every last point that he can. “I’ve been waiting all season to win. It has to come sometime, and I’m hoping that it will be at Dirt Bronco…” said Fitz-Gerald. Rounding out the team is MX2’s Joshua Mlimi. Picture Caption: Pro Mini rider Joshua Mlimi.